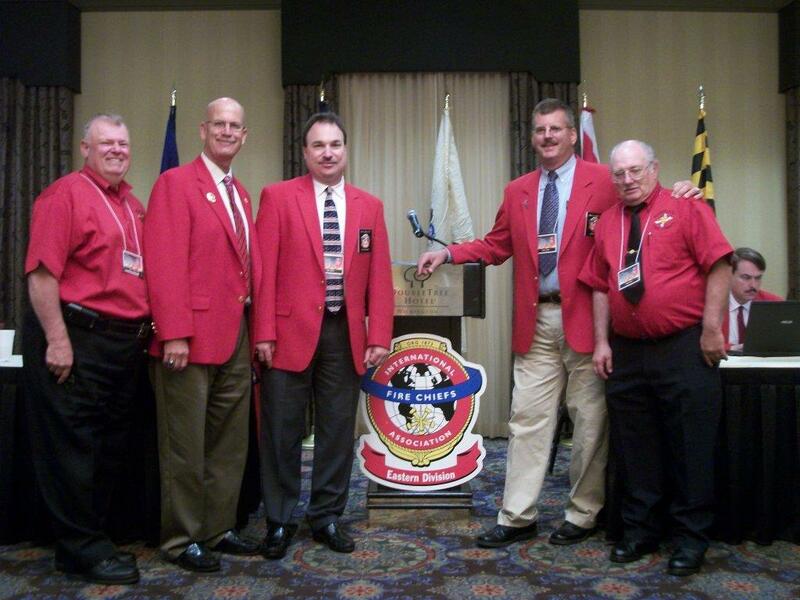 At the 2011 Annual Conference of the Eastern Division of the International Association of Fire Chiefs (IAFC), Bowie Volunteer Fire Department's Deputy Chief Pete Mellits was elected to the 1st Vice President of the Division, which was held in Wilmington, Delaware at the end of May. He previously held the 2nd Vice President position. Pete currently serves as Deputy Chief - Station Chief of the Northview Station (PGFD Company 16), as part of his other assigned emergency operational/administrative duties within the Bowie Volunteer Fire Department. In addition, Pete serves as the Secretary for the Maryland Fire Chiefs Association. The Eastern Division of the International Association of Fire Chiefs represents Fire and Emergency Services Leaders from the states of Delaware, Maryland, New Jersey, New York, Pennsylvania and the District of Columbia. Prince George's County Acting Fire Chief Marc S. Bashoor and Lt. Colonel Jerry L. LaMoria attended the Annual Conference and presented a class on a Safety and Investigative Report that involved a firefighter sustaining serious injuires fighting a house fire in Kettering. The mission of the Eastern Division is to support the goals and objectives of the International Association of Fire Chiefs by serving as the liaison between the IAFC and the Division’s member states. The Eastern Division will do this by professionally consolidating regional issues and opinions, providing valuable and necessary input to the IAFC, and disseminating pertinent information from the International Association of Fire Chiefs to the Division's member states. Kentland Volunteer Fire Department Chief Tony Kelleher recently made us aware of a special journey for one member of their department. Kelleher stated, "Sergeant Oleg Pelekhaty spent 16 days, riding mostly solo, over 6000 miles across the United States of America to promote ovarian cancer awareness and to raise funds for the same cause." He returned to Prince George's County on June 22nd, 2011. Oleg Pelekhaty poses with his HD and firefighters from Iowa City. For the past few weeks, Kentland Volunteer Fire Department Squad Company Sergeant Oleg Pelekhaty has ridden his Harley-Davidson motorcycle from the Kentland Volunteer Fire Department, Station 33, across the continental United States and halfway back. He did this to promote ovarian cancer awareness and to raise $6000.00; a dollar for each mile he rode, for the same cause. As great of a feat as this is, he is also doing it mostly on his own with the exception of day one. Throughout his journey Oleg was the recipient of firefighter hospitality and demonstration of brotherhood as he stopped every few hundred miles for rest at a local fire station. You can follow Sergeant Pelekhaty on his blog, specifically designed for this trip, by clicking on the attached link. Also, you can still donate to the cause on the blog as well. 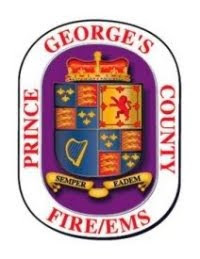 The Officers and Membership of the Kentland Volunteer Fire Department, Inc.as well as Acting Fire Chief Marc S. Bashoor and the entire Prince George's County Fire/EMS Department congratulate Sergeant Pelekhaty on his mission and journey. For additional information you may also contact the Kentland Volunteer Fire Department, Inc, at 301-883-7733.